The company's board was informed a week ago that Krzanich had a mutual relationship with an employee in his chain of command in the past, according to a source familiar with the matter who asked not to be named. Intel's policy, which dates back to 2011, requires employees to report any colleague's relationship with a subordinate if they come to know about it, the person added. Intel has fired managers before for violating the policy. Krzanich, who did not have an employment contract, is entitled to a US$38 million "walk-away" payment in the event of a voluntary termination, according to Intel's regulatory filings. Of that, $31 million is in the form of accelerated stock awards and $4.1 million in the form of deferred compensation, based on Intel's share price on Dec. 29. An Intel spokesman declined to say whether the walk-away payment applied to Krzanich's resignation. Krzanich, 58, an engineer and Intel veteran known at the company as "BK," was appointed CEO in May 2013. He led the company's shift to focus on making chips for data centers that power cloud computing from its traditional stronghold in personal computers. Intel shares more than doubled during his tenure. He was recently credited with containing the fallout from the discovery of security flaws in the company's chips that could allow hackers to steal data from computers, although his sale of some Intel stock before the flaws were disclosed to investors attracted some criticism. In the last few months Martin Sorrell, founder of advertising giant WPP and casino mogul Steve Wynn of Wynn Resorts resigned after accusations of impropriety. Wynn has denied the accusations and Sorrell has denied any wrongdoing. Temporary replacement Swan has been Intel's CFO since October 2016 and previously spent nine years as CFO of eBay. Given his short tenure and lack of experience in manufacturing, he is not likely to be named permanent CEO, Cowen analyst Matthew Ramsay said. 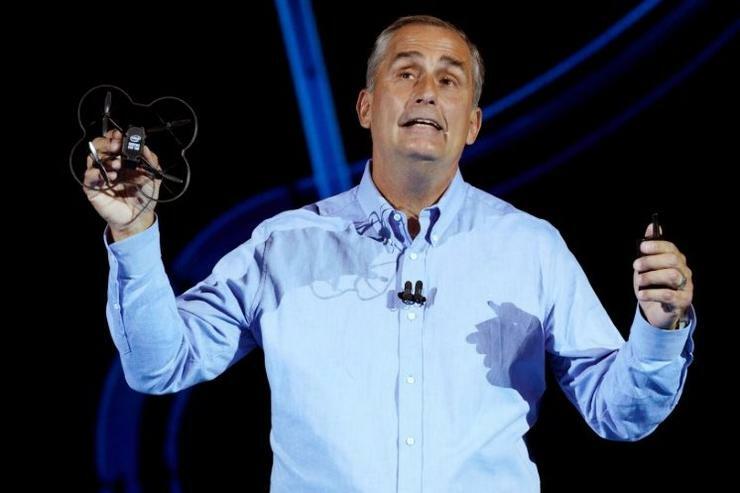 "BK will go down in history as the CEO that let Intel's process leadership advantage slip away," he said, adding that a change at the top could bring in fresh ideas.